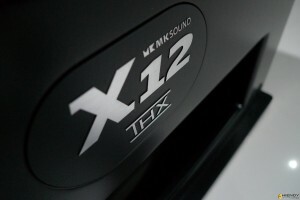 From the very beginning, MK Sound has been the only speaker company to produce only satellite and subwoofer systems, the optimum configuration for film and music. Thanks to our state of the art subwoofers and intelligently designed compact monitors, MK Sound systems deliver all of the subtle nuances and bottom end impact the artists intended for you to experience. The X Series subwoofers follow the proven MK Sound concept of front and bottom mounted dual drivers operating in push-pull in a sealed enclosure, introduced in 1988 in the legendary MX-1000 subwoofer and continually refined over the ensuing decades. The unusual front and bottom driver configuration is a clever, noninvasive way to reduce harmonic distortion.